This is the 18th novel in the Harry Bosch series of adventures by Michael Connelly. All the books are stand-alone, of course, and feature Hieronymus Bosch as the Los Angeles police department homicide detective. Michael Connelly worked as a reporter covering crime stories which inspired him to become a novelist and there is a gritty realism to all of his stories. All the characters are the sort of people we are familiar with. The Harry Bosch novels are in the tradition of hard-boiled police detectives following clues, solving crimes while having to face challenges from incompetent superior officers. The title of the book alludes to Bosch’s belief that every case has a ‘black box ‘– a piece of evidence or a witness or something that is key to unravelling the mystery. This novel basis together two stories decades apart. The first is a murder from 1992 during the rioting in Los Angeles. A young female Danish journalist is found killed and while a bullet casing from the scene was recovered the case remained unsolved. Twenty years later Bosch is determined to reopen the case and bring justice to the dead woman’s family. Forensic analysis has moved on and Bosch is able to piece together more and more evidence that enables him to confidently believe he will solve the case. 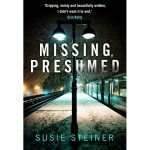 Once he has fathomed out why she was in Los Angeles in this place he discovers the true reason for her death and the case takes an unexpected twist. Bosch has to face challenges from superior officers over the way he handles the case and he is always portrayed as a lone wolf, principled, yet determined, standing up to superiors unable to share his sense of justice. 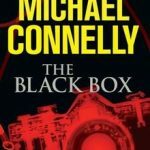 We get glimpses of Harry Bosch’s private life – perhaps not enough actually to give us a real flavour of the man but even so this is a great novel and if you haven’t read any Michael Connolly for a while I would recommend you revisit his novels. The Black Box is certainly worth reading and highly recommended.